BNL have always looked to explore the boundaries of what plastic bearings can achieve. Our bearings frequently defy the standard view of what many would recognise as a ‘bearing’. By moulding our bearings, we can integrate features, mating components and functions that mean BNL plastic bearings are not just bearings, but products that provide added-value to our customers through operational improvements, cost reductions and process efficiencies. But we feel we can push these limits further. We are expanding the temperature, impact and load capability for a new generation of bearings through new material research and by developing advanced design and moulding processes. In 2017, BNL & the University of Bradford started a Knowledge Transfer Partnership (KTP) aimed at researching and developing materials and design techniques to maximise the effectiveness of polymer bearings in application – especially in the challenging arena of automotive applications. The project had been prompted by an acknowledgement of the increasing demand for lightweight materials and interest in plastic components in our core markets. The team investigated the capability of polymer rolling bearings to meet a wide operating ranges of loads, speeds and temperatures, by testing a range of different materials and design combinations. BNL’s most used material, Polyoxymethylene (POM/Acetal), offers excellent wear rates when used in moulded bearings. There are various brands and blends available and BNL use those that have shown to be reliable materials for moulded bearing manufacture. As part of this project a selection of new materials were tested for water absorption, stress, operating temperature, shrinkage and wear amongst other criteria. Under a range of temperatures, loads and speeds, BNL’s R&D team validated three materials with similar or better performance characteristics as the current POM used and validated a total of thirty new materials in application. Material research has also given BNL a deeper understanding of current POM material performance characteristics in a moulded bearing and established design and manufacturing processes that get the best value out of current materials. Customers’ have been excited by the expansion of load, speed and temperature capabilities this has achieved. Load handling, operating temperature and impact resistance have all been improved. 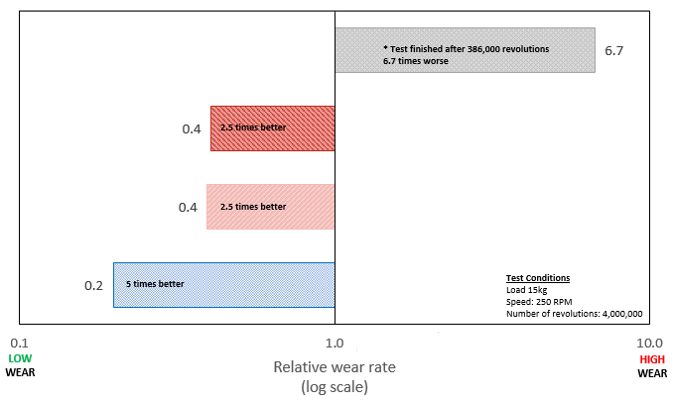 Research has emphasised the importance of the load element in plastic bearing operation and this will guide future development of advanced design and moulding processes, to produce bearings that have higher load capabilities than previously thought possible. BNL bearings are moulded for quality and endurance. Tool design and processing techniques that have been developed over decades mean BNL plastic bearings outperform machined equivalent products and deliver longer life. Our moulding techniques allow manipulation of the substrate layering of the materials to improve wear rate and create added value for our customers. The advantages of this layering is lost in the machining processes used by other manufacturers of polymer bearings. BNL’s integrated plastic bearing solutions feature in highly engineered products, from top of the range cars to innovative domestic appliances. As technology progresses, specifications become more complex and we must evolve to meet our customers’ changing needs. Our newly developed processes, techniques and materials will allow us to meet more challenging specifications around load, temperature, impact, speed, strength and diametrical clearance. Through better understanding and processing of our current materials, we have increased the life of our existing plastic bearings, providing a better performing product to our customers, without adding weight or compromising the added-value from integrated design, such as component reduction and reduced assembly. New performance boundaries and our material research are being used to expanded BNL’s product ranges. 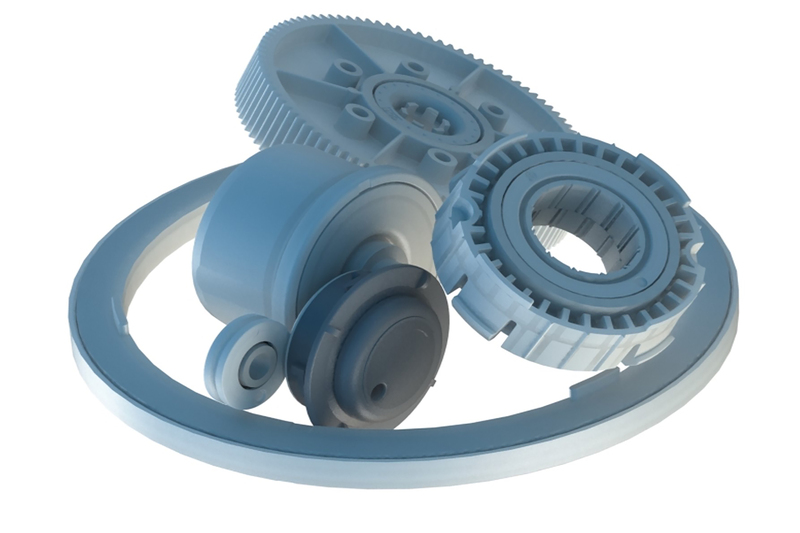 The majority of our plastic bearing products are based on three types of bearing – deep groove, angular contact, thrust race – which form the basis for further added-value design and integration. We will soon offer crowned, taper & needle roller plastic bearing designs for applications with higher loads and we are investigating all-plastic bearings with plastic balls and rollers, for even lighter products without losing strength, life and operational function. We also have a lot of interest from the Automotive industry in our adaptive DC bearings. DARE bearings are BNL’s ‘Diametrically Adaptive Rolling Element‘ bearings. The concept for these bearings came from our objective to create a gold standard plastic bearing. Specifically created with the high standards of the Automotive market in mind, we use design features, adjustments in diametrical clearance and materials to tailor the capabilities of the bearing to meet the exacting engineering standards required. These can be features such as crush ribs and soft-touch silicon labyrinths to handle load and impact; twin-shot casings for extra strength and custom-designed diametrical clearance allowing operation at higher or variable temperatures. NF (Natural Frequency) and NVH (Noise, Vibration, Harshness) are also key considerations for our automotive customers. BNL can now fine tune for both NF and NVH. These can influence our customers’ steering systems by up to 4Hz, providing a performance benefit tailored to their requirements. All the new material and design techniques developed during our R&D/KTP project are used to create a bearing that benefits from the uplift in load, speed, operating temperature and strength. Additionally, we are able to ‘tune’ these and the bearing’s diametrical clearance to meet specific design challenges. Our customers are already benefiting from DARE designs. We successfully demonstrated using these advanced design techniques to reduce vibration for steering columns that are used in prestige vehicle manufacture. 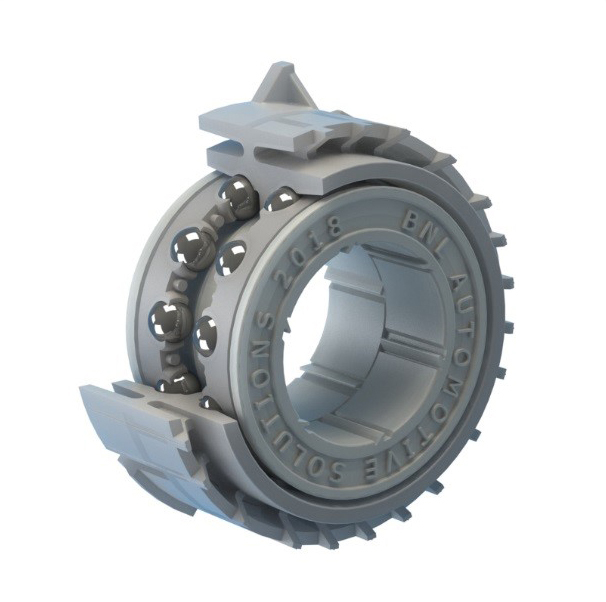 Our new innovations were also able to improve safety features, with BNL custom-made bearings withstanding up to 16kN and remaining functional after elastically stressed, whereas the steel version permanently deformed at 8kN.